The flawless luminosity of your youthful skin is only fully appreciated as age takes its toll and manifests itself in skin that lacks lustre and radiance. 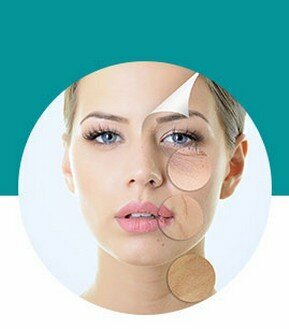 •The outermost layer of the epidermis is composed of plate-like cells that protect the underlying skin from water loss. These cells are continuously sloughed off exposing new cells and giving the appearance of bright fresh skin. As you age the epidermis loses its ability to retain water, leading to drier skin. •In addition, the “sloughing off” process slows down considerably, resulting in a dull layer of dead skin cells making the texture and tone of skin uneven. •Hormonal changes, mainly due to menopause, cause a reduction in sebum production which leaves skin dehydrated and vulnerable. 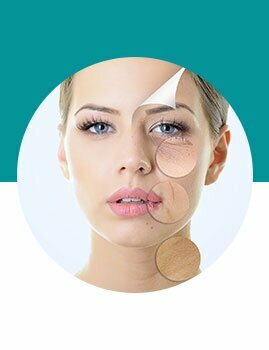 •The underlying elastin and collagen proteins (which impart elasticity and strength to the skin) are also adversely affected by ageing, leading to wrinkles and dry sallow skin.